Rent of antiqe automobiles and motorcycles - Аренда старинных авто! 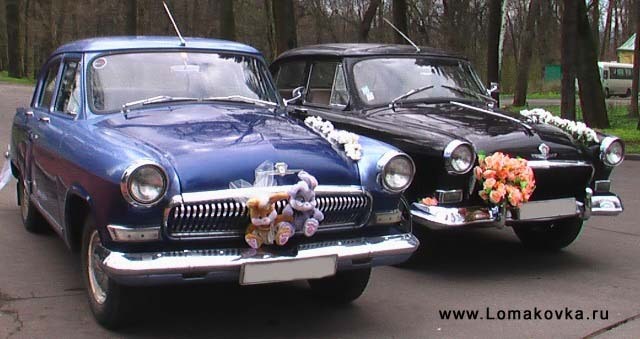 Rental of antiqe (classic, retro, oldtimer) automobiles (cars) and motorcycles for a photo and video sessions, filmings, presentations, weddings, shows, exhibitions! 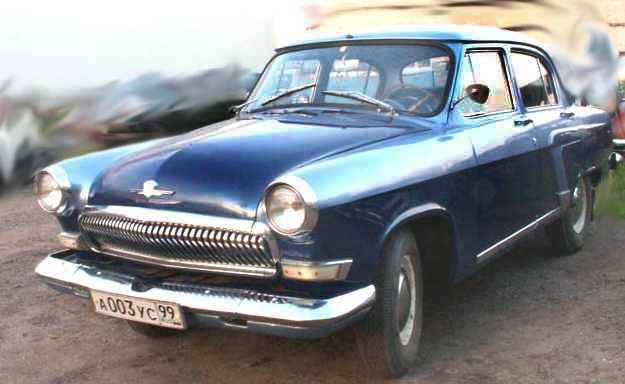 GAZ-21 "Volga" 1962. With or without the deer. Blue, green and brown. 75 Euro per hour (minimal order is 4+1 hours). 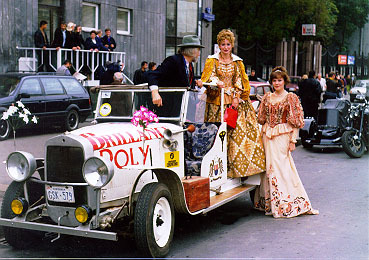 "Antilopa". 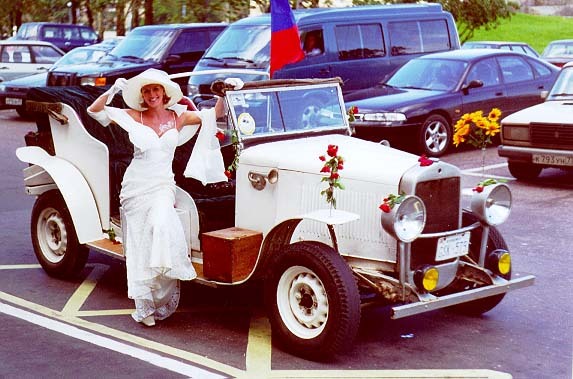 This exotic automobile - our imagination in style of 1917 (was made in 1991). It has pretty good speed - up to 80 km/hour. Rent price is absolutely cheap: Euro 100 per hour (minimal order is 4+1 hours). 3-4 passenger places. 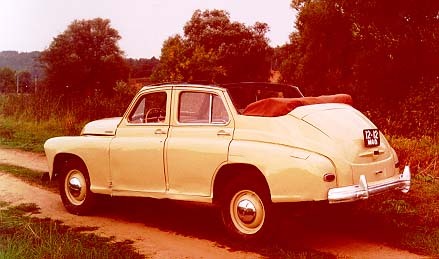 "Pobeda" (1958-1964). Euro 90 per hour (minimal order is 4+1 hours). 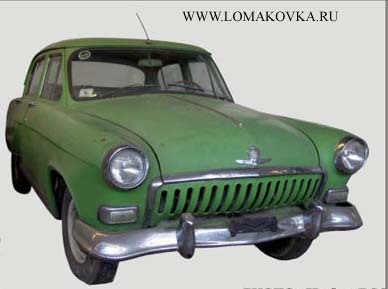 "Chayka" (GAZ-13) 1977. 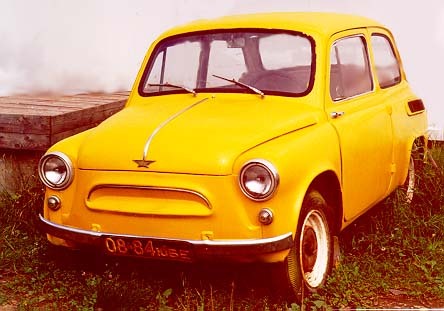 Ideal condition.Euro100 per hour (minimal order is 6+1 hours). 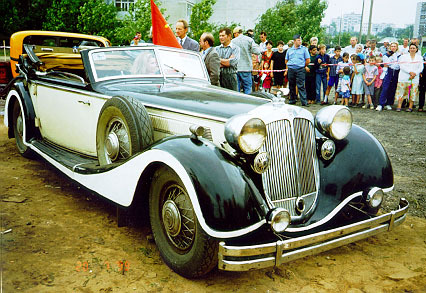 Horch-853 (1935). 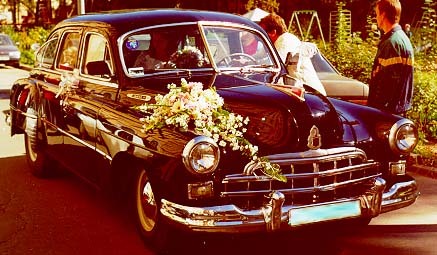 It is the most beautiful automobile in Russia, and one of the most valuables, too. 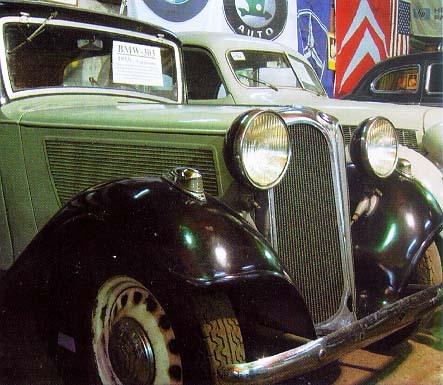 "Car of the year - 1935" at the Paris automobile exhibition of 1935! Classical black and white cabrio (convertible). 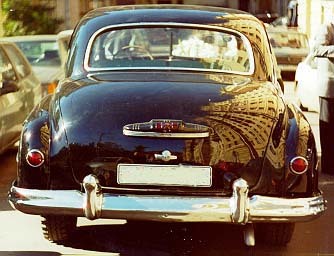 This particular Horch-853 belonged to Reich Marshal Hermann Goering. 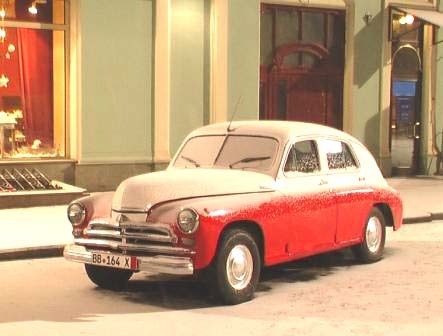 This car is a true movie star of Soviet and Russian cinema: it starred in 25 films. Rent price: Euro 300 per hour (minimal order is 3+1 hours - 3 hours of service and 1 hour of delivery). 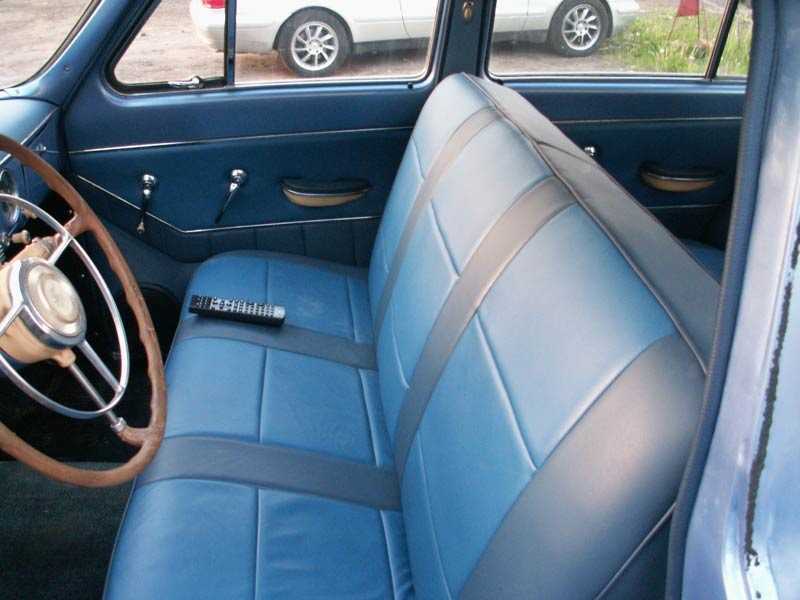 There are 3 passenger seats in Horch-853. Not for city rides, only as a static exibit an filming. 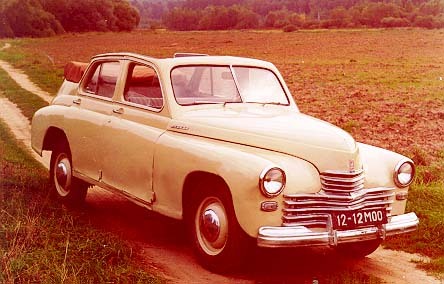 ZIM (GAZ-12) (1953). Euro 100 per hour (minimal order is 4+1 hours). Not for city rides, only as a static exibit an filming. 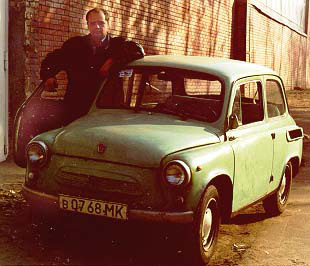 ZAZ-965, 1969. 70 Euro per hour (minimal order is 4+1 hours). 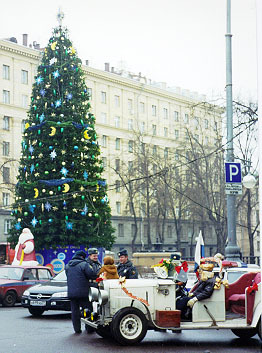 Not for city rides, only as a static exibit an filming. 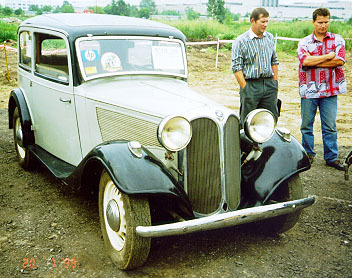 BMW-303 (1933). 100 Euro per hour (minimal order is 4+1 hours). Not for city rides, only as a static exibit. 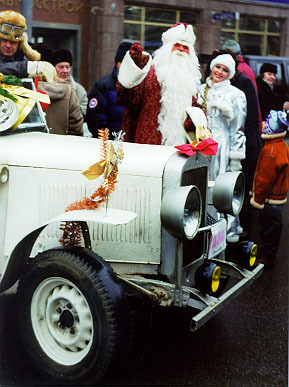 You can help to a museum - place the pages address on a Museum and Russian Club on your pages!